After 9 years in business, Goofboard needed help in refreshing and reshaping their brand to appeal to a wider audience and increase sales. We started by styling the product with a clean design that accompanies the boards retro design. This harkens to the golden days of surfing. Once the product was reshaped to our vision, the brand followed in that trend. 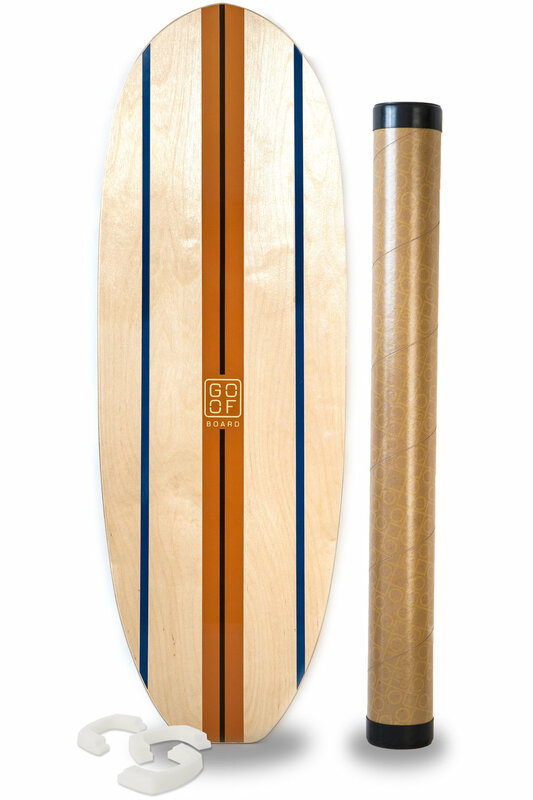 Goofboard's fun nature is evident in the brand, but what was lacking was the usefulness of the product. It is a balance trainer that improves style, grace and balance while surfing. One of Goofboard's distinguishing attributes are the U-blocks used for beginner and advanced training. The clean and sophisticated rebrand uses the U-block design element within the typography. With building out a new site for Goofboard, we wanted the site to be focused around the unique riding system of the products and make the user experience simple and easy while shopping on the site. We represent the brand in a vintage fashion, with the focus on surfing style and the ability to practice in water and on land.